The region, along with 13 of our partners will be attending the UK's largest events show, to tell hosted buyers why the West Midlands is the perfect conference backdrop. The area has always been ranked a first-class conferencing destination, with a long history of delivering successful events across the whole West Midlands. This is thanks to a combination of great connectivity for both national and international delegates, ample bed space and leading venues and facilities. It is also the exceptional experience the West Midlands can offer delegates, including an award winning food scene, fantastic incentives and of course our warm local welcome. Now really is the perfect time to bring your event here. The region has experienced extensive investment in infrastructure and connectivity with High Speed 2. Over the next five years Coventry will be City of Culture 2021 and Birmingham will be hosting the Common Wealth Games 2022, the whole world really will be watching the West Midlands. We have a fantastic set of venues and organisations joining us on the stand this year including our five gold partners Birmingham Airport, NAEC Stoneleigh, Ricoh Arena, University of Birmingham and Warwick Conferences. So visit us at the show on stand J501 and find out how we can support your next event. Register today here. 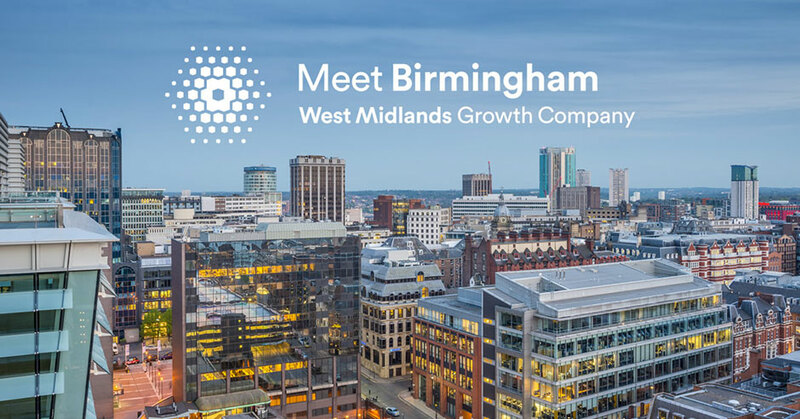 We will also be hosting some exciting events over the two-day show, including an evening drinks reception to offer delegates a 'Taste of the West Midlands'. Make sure you keep an eye out for further details on these. Whatever your requirements, whatever your sector, the Convention Bureau is ready to assist you to put on a successful and memorable event for you and your delegates.